Throughout his career, Johnny has been on the leading edge of solar energy education and training: developing, teaching, and managing renewable energy training programs focused on the practical uses of solar thermal and photovoltaics. He is currently an independent consultant working internationally from Colorado on special solar projects. As an educator, a certified industrial trainer and a building professional, Johnny has more than 40 years experience in the real-world applications of renewable energy technologies. Johnny Co-Founded Solar Energy International (SEI) in 1991. He was the Executive Director and led SEI for over 20 years, helping establish SEI as a leader in solar education that has now trained over 55,000 students. Solar Energy International is a world-class center training for the solar industry. As an Associate Professor at Colorado Mountain College in the 1980’s, he developed and taught a college-level vocational solar training program. Johnny also has hands-on experience as a builder and a licensed general contractor, and is knowledgeable about earth/straw construction. His experience includes project management with solar energy companies and with NGOs working in sustainable development. His recent work concentrates on helping establish renewable energy education centers, training trainers, working with Native American programs and managing solar projects in the developing world. 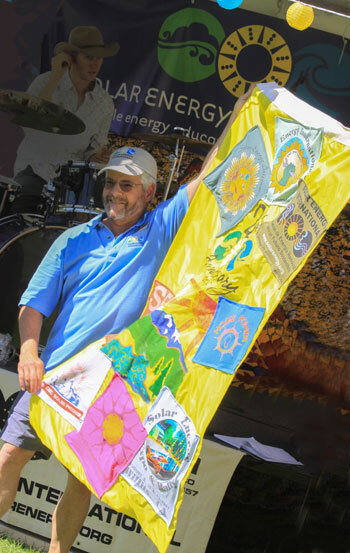 Johnny has been recognized by numerous national and state organizations for his work in renewable energy, including the Mark C. Fitzgerald memorial award from the Interstate Renewable Energy Council and the Colorado Solar Energy Industries Association lifetime achievement award. Click here for award details. Johnny has authored and co-authored numerous technical papers and articles about renewable energy. He has published technical papers for the International Solar Energy Society (ISES), the American Solar Energy Society (ASES), Solar Today Magazine. He has been a contributor and has been regularly featured in Home Power Magazine.